The kitchen is one of the most inviting rooms in a home. Host to memories made over a stovetop and delectable meals enjoyed, your client’s kitchen remodel should reflect their style. When you are planning a kitchen remodel, visit ProSource® of Houston-Northwest for assistance putting all the pieces in place. We help trade professionals access the exact products they need at wholesale pricing. From classic wood to modern glass fronted cabinets, we can help you find something to match your client’s design wishes and budget needs. 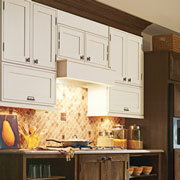 Increase storage space while improving style with our kitchen cabinet selection. 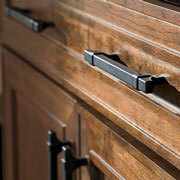 From simple functionality to subtle design enhancement, the right cabinet hardware is a necessary component of a detailed kitchen remodel. We will help ensure no detail is overlooked as you choose the right design and style. From bold designs that catch the sun’s sparkle to durable countertops created for the wear and tear of a busy family, choose a countertop that will truly meet the needs of your client’s home. 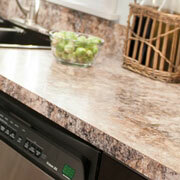 Browse our selection of granite, marble, quartz, and recycled material countertops. While practical items such as the kitchen sink may not see as much time in the spotlight, they play an important role in the design of a kitchen remodel. 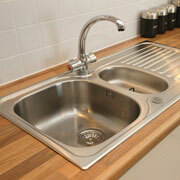 Triple basin sinks make a great fit for a busy family while single bowls can add a sleek appearance to the room. For families who cook daily, a durable kitchen faucet is a must. For someone who needs a splash of luxury in their kitchen design, a stunningly delicate faucet might be the perfect fit. 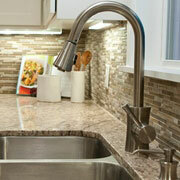 Talk to our specialists about the right kitchen faucet for your client’s needs. We are proud to serve Houston, Spring Branch, River Oaks, and Houston Heights, Texas, as well as the surrounding communities. The ProSource of Northwest Houston showroom is conveniently located in Houston, Texas and serves all of the neighboring cities including Batson, Bellaire, Bryan, Crosby, Cypress, Daisetta, Dayton, Devers, Dobbin, Dodge, Galena Park, Hardin, Houston, Hull, Humble, Huntsville, Katy, Kenney, Kingwood, Liberty, North Houston, Pattison, Prairie View, Raywood, Roans Prairie, Shiro and Spring.